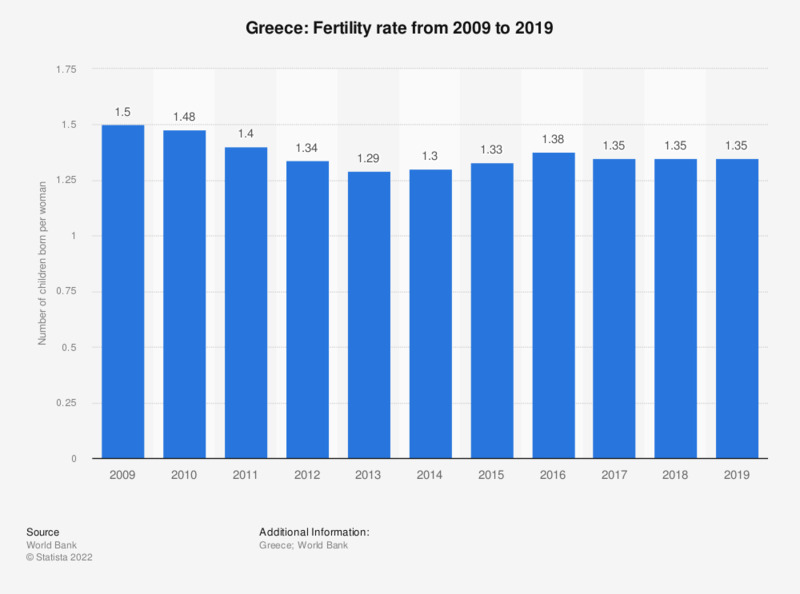 This statistic shows the fertility rate of Greece from 2006 to 2016. The fertility rate is the average number of children a woman will have during her child-bearing years. In 2016, the fertility rate in Greece was at 1.33 children per woman. See the Greek population figures for comparison.